Cook until done: Water, onion, celery, potatoes, carrots, bouillon cubes, broccoli, and cauliflower. 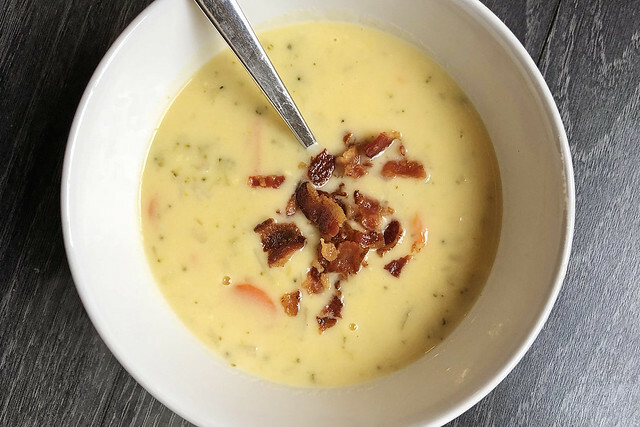 Stir in 2 cans cream of chicken soup and cheese. Stir constantly 6 to 8 minutes until cheese melts. Do not boil! 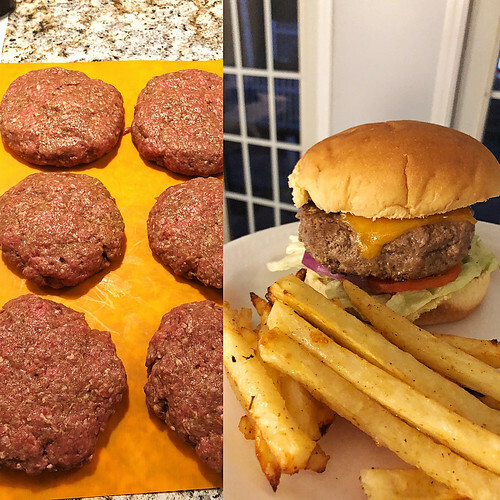 Place burgers on the grill, close lid& BBQ until NO LONGER PINK INSIDE, turning once, about 6 – 8 minutes per side. An instant read thermometer should read 160F. Start with a couple of medium russet potatoes. That will make four servings. Preheat oven to 425. Peel potatoes if desired. Cut your fries. Place in cold water and soak for 15 to 20 minutes. Rinse the fries with cold water and place on a towel and dry reasonably well. Dry the bowl and put fries back in and mix with about a tablespoon of oil. 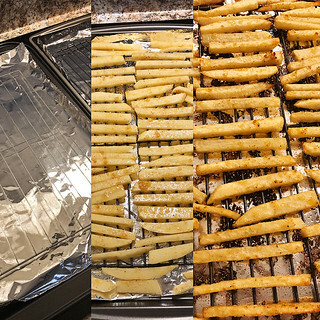 Prepare a baking sheet with aluminum foil and a rack. Spray with PAM. Spread the fries on a prepared rack. Give a light sprinkle of coarse salt. Bake until golden brown. About 30 minutes. I have been embracing the fact that I actually have time to cook again and it has been fun looking for new (and hopefully healthy) recipes to try! 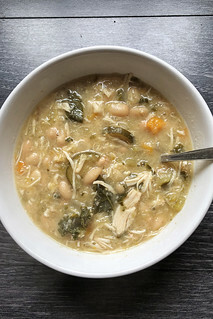 I love all kinds of chili but especially chicken chili. 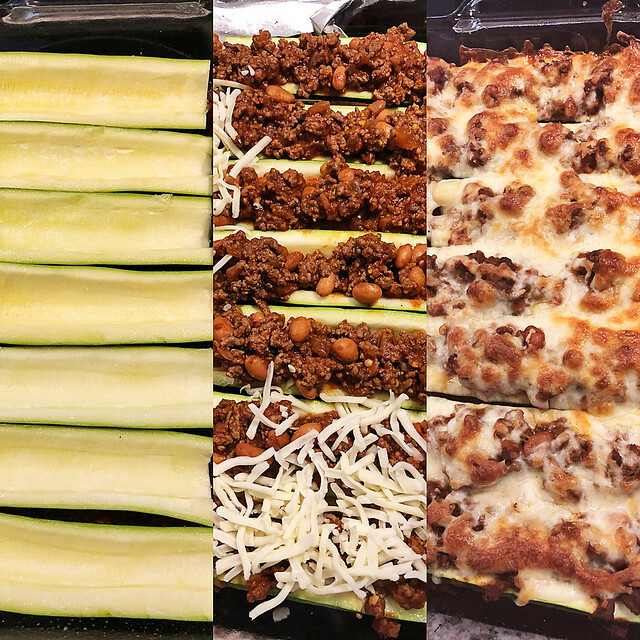 I found this healthy version on The Lyons' Share and changed up a couple things but it was great and made tons!